Bags. Bags. Bags. More bags. 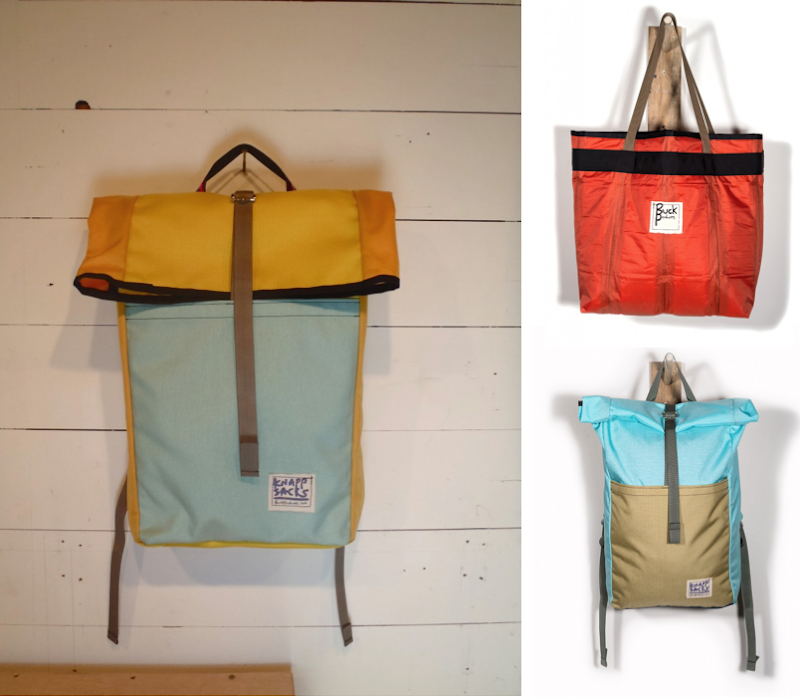 While still high from my jaunt to Jackson Hole last week, I discovered Buck Products out of Bozeman, Montana and am loving their simple roll-top backpacks ($100) and re-purposed totes ($60). While it's too late to get a custom order in (you can pick out any color combination your little heart desires) for Christmas, their stock bags are pretty great too. Everything is sewed from scratch by Alex Buck in the mountains of Montana and I love the old-school mountaineer aesthetic of his bags, but more importantly, as Buck says, "they hold a cubic-buttload and are wicked tough". old school is right! love these bags. I want to get one of these bags because they don't look like a retro hipster Brooklyn bag, they just look solid. Nice post, Lizzie. yeah another backpack company! Just what we need. these things are great. simple and they carry beer well while your riding your bike.